Every Sunday at Baildon Methodist Church we have a beautiful display of flowers. These do not appear by magic, they are designed and provided by the Ministry of Flowers. Each week a member of the congregation, or a church group, gives a donation to pay for the flowers. This money is then given to a member of the flower arranging team who then purchases the flowers and makes a fantastic display for Church. At the end of the Church services for the day, a member of the flower distribution team dismantles the display and delivers the flowers to those members of the congregation who need ‘cheering up’ or who may have a celebration of some kind. This is very rewarding work. If you would like to take part in any way, please contact Pat Bentley to donate money towards the flowers, or Rosemary Francis to become a member of the flower arranging and distribution team. 7th: The flowers in our church this day are given by Margaret Galling in loving memory of Brian. 14th: The flowers in our church this day are a gift from Daphne Wood remembering John’s parents and Daphne’s brother David. 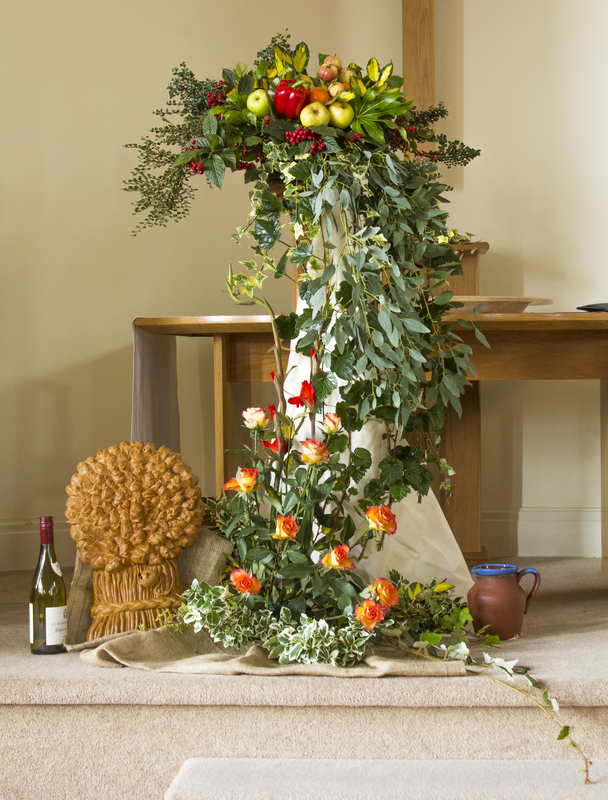 21st: The beautiful flower arrangements on Easter Sunday have been given jointly by Marian Kellett and the Friends of the Church Flower Fund. Marian is affectionately remembering many friends.